Chinese e-commerce billionaire Jack Ma told the 2019 World Economic Forum that the world should be alert to the risk that the latest technological revolution could trigger another world war. The founder of Alibaba also used his address in Davos, Switzerland, to cover a range of topics including globalisation, technology and education. Alibaba is the parent company of the South China Morning Post. Some very wise words. Bet there are those out there who won't listen because Jack Ma is from mainland China! I am not offended but i think Jack Ma's goal is not matching with CCP. He said trade must be globalized and open to every country, but to me, Chinese government is one of the most closed minded organizations. Its very unfair for foreign companies outside of China. If you read news, u would know why so many foreign companies are having hard time in China. I think Chinese government needs to fix these problems. the key is - will HIS country follow his advice??? Backpack PePelon..Nationalism is not on rise in Europe. The leftwing media has created a fake illusion of Nationalism in Poland and Hungary. Meanwhile ignoring the more serious threat from China. Venezuela is too far away from paradise, and too close to the US of A.
xWHITExEAGLEx I’m from Taiwan! Stay out of our business in Asia! 3rd world war on digital platforms. The world rising against the US hegemony! Third World War has already begun in the Middle East! 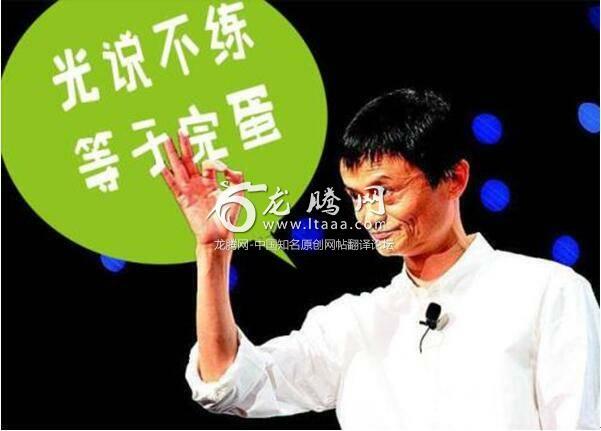 im sorry jack ma ure my inspiration but for the idea of free trade zone, i cant agree. my country will be defeated easily by china if this policy happening because of your country already selling cheap products, how can we win fighting with ur country if free trade zone happen. maybe all products in my country will come from china if that happen.